With four rows of diamante-style stones and a crystal heart charm at the end, this beautiful pet collar is super cute, and perfect for any special occasions! 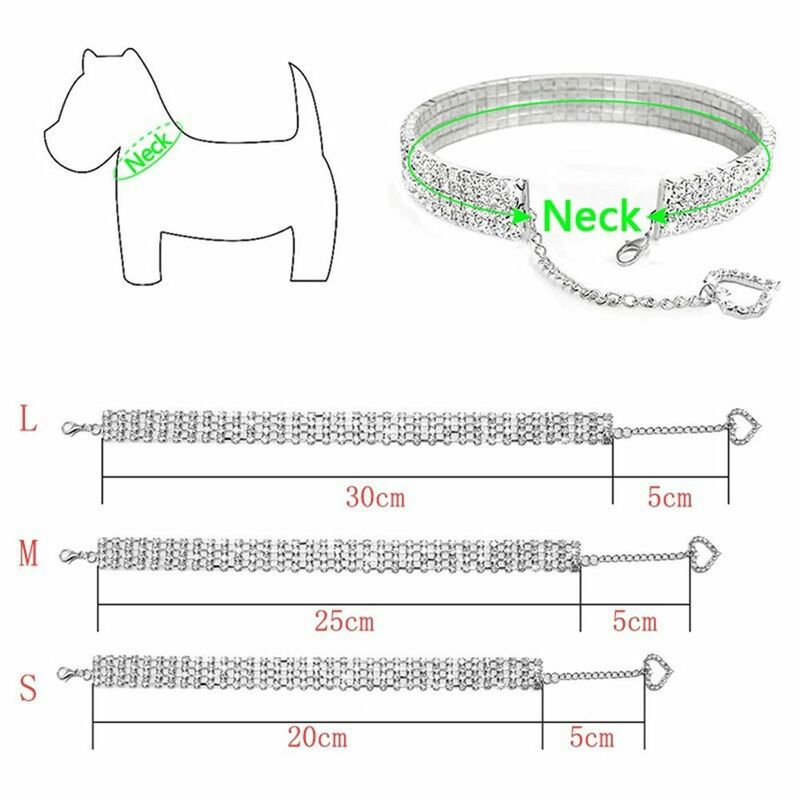 It is available in three different sizes, and each size is adjustable up to 5cm (see below size chart). Please be advised that this collar should be worn for decorative purposes only and not with a lead for normal dog walking. Please check the sizing carefully before ordering to avoid disappointment as delivery time can be up to 28 days.